The best teeth are your own natural teeth. But sometimes, a tooth is badly damaged or lost. 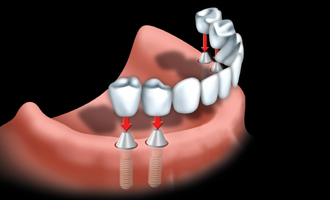 If a tooth is lost, it is important to replace it with an artificial tooth as soon as possible. This will prevent the teeth that are left from drifting out of line and possibly causing jaw problems. Teeth that are out of line are harder to clean and are more likely to get periodontal disease (gum disease) and cavities. If one or more of your teeth are missing, your dentist may suggest replacing your missing teeth with a bridge or a denture. If you need to have a tooth (or teeth) replaced, your dentist may do it, or he or she may refer you to a prosthodontist. 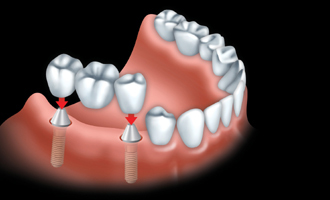 A prosthodontist is a dentist who has completed a university post-graduate specialty program in prosthodontics. Prosthodontics is a specialty of dentistry that deals with restoring and replacing natural teeth and tissues with artificial substitutes. 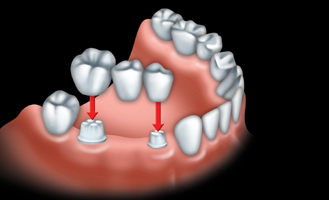 Resin-bonded bridges, also known as “Maryland” bridges, are used when the missing teeth are in the front of the mouth. 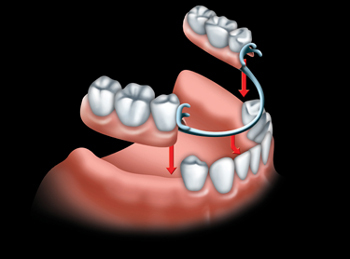 This type of bridge involves the artificial teeth being fused together to metal bands and cemented to the back of your natural teeth. 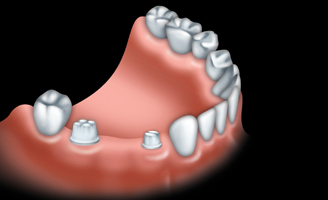 Partial dentures are also called “removable partial denture prostheses” or “partials.” They may be used when nearby teeth are not strong enough to hold a bridge, or when more than just a few teeth are missing. 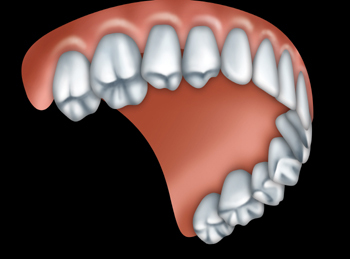 Partial dentures are made up of one or more artificial teeth held in place by clasps that fit onto nearby natural teeth. You can take the partial denture out yourself, for cleaning and at night. Complete dentures are what we most often refer to as “false teeth.” They are also called “full dentures” and are used when all your natural teeth are missing. Complete dentures are removable as they are held in place by suction. They can cause soreness at first and take some time to get used to. There are 2 types of complete dentures: immediate dentures and conventional dentures. Always remove your dentures overnight to give your mouth a chance to rest. Soak them in warm water with or without denture cleanser. If your dentures have metal clasps, only use warm water for soaking, as other soaking solutions can tarnish the metal. When you’re not wearing your dentures, keep them in water to stop them from drying out or warping. Never use hot water for soaking.